Home Truck Maintenance What Is A Clutch Brake? What is a clutch brake and what does it actually do? Clutch brakes are used in a wide array of different vehicle types. You’ll find this brake type in cars, trucks and heavy duty trucks. The clutch brake has a circular disc with a friction surface that connects to the input shaft of the transmission between the release bearing and transmission. The purpose of the clutch brake is to stop or slow the input shaft from turning. It helps prevent premature wear of the internal transmission parts during those initial shifts. To understand this in more detail, let’s consider what is going on when a heavy truck transmission is shifted from neutral to first or reverse. 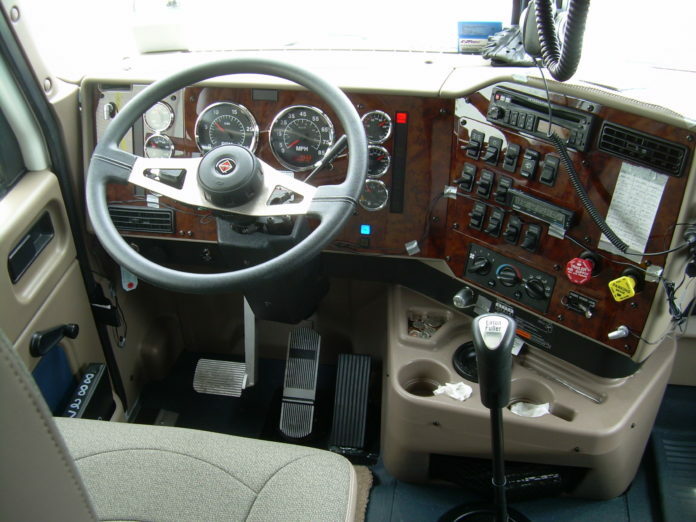 When a truck is in neutral and the clutch pedal is not depressed, the master clutch is engaged. This causes power from the engine to drive the transmission input shaft, resulting in the rotation of the shafts and gears in the transmission. When this occurs, the gears won’t be engaged in a way that produces power to the drive shaft. Now, parts of the transmission are spinning but just idling. If you’re having trouble with your clutch brakes, there’s a few main causes that are often the issue. Here’s the main problems that usually occur. The first reason clutch brakes fail is because the friction material wears out. Eventually, you’ll get metal to metal contact. While it can cause the gears to slow, it can damage the bearing and the cover of the transmission. It’s also possible that the release bearing won’t be able to come close to the transmission to squeeze the disc, causing the clutch brake to not slow down the transmission shaft as no friction would be present. The most common cause of clutch brake failure is depressing the clutch pedal all the way to the floor when shifting while the truck is moving. When this occurs, you’re forcing the clutch brake to try and stall the engine and slow/stop the truck. It only takes one time doing this to damage or destroy the clutch brake. You can damage the pedal links and transmission case too. If you keep the pedal links properly adjusted and grease the release bearing and clutch brake disc, the disc can last for a long time.